We've been using homemade deodorant for over 2 years now. We love it. I've done a lot of research in this arena because our first batches of deodorant which included baking soda really irritated both of us. There is a quick and simple spray deodorant recipe that many people like. We'll use it occasionally, but usually only when we're just hanging out at home as I don't find it to be as effective as some of the other recipes. Spray on after toweling off from the shower. Let it dry while you get dressed and you're good to go. You will NOT smell like vinegar once it dries. However, some smell will remain if you use apple cider vinegar. If you live in a hot climate or don't run your ac in the summer, you might need to keep your deodorant in the fridge in the summer. Seriously...it's as easy as that! There are some things that people add to help make it more effective for them. I encourage you to keep trying until you find the recipe that works for your family. Make small batches at first so you don't feel bad chucking it if it doesn't work out well. For example, we used to use baking soda. It gave both my husband and I a rash, though, so we had to ditch it. Use cocoa butter or jojaba oil instead of coconut oil (I've never tried this, but many do with great success.) The point here is that it needs to be an oil that is solid at room temperature. Tropical Traditions is my favorite coconut oil. I use the gold label for eating and the green label as a lotion, in my deodorant﻿, as an antibacterial...pretty much everything but eating. I pictured the gold here only because my green bottle broke in our move and the gallon bucket of it just isn't as pretty as the jar. 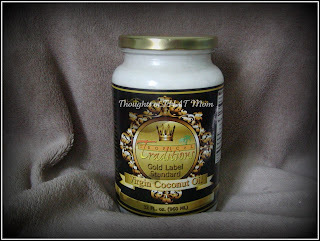 The best way to know if you're getting a quality coconut oil or not is that it should smell like coconut. If it doesn't, then it's been overly processed & likely posseses little (if any) nutrients. You can use any old deodorant container for your deodorant. Just make sure that you wash it thoroughly. If you keep twisting on most containers, then the insert that supports the deodorant and allows it to move up and down should come out. 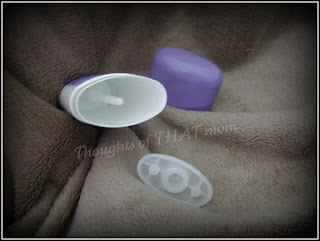 Once it's out, you can properly clean both the insert and the remainder of the container. To replace the insert, just place it back on top of the plastic screw and twist from the bottom. The insert will re-attach itself. Go ahead and twist it all the way down to the bottom so it's ready when your deodorant is done. There are a couple of ways to mix the deodorant. Some will tell you that you HAVE to liquify the coconut oil and then add the ingredients. 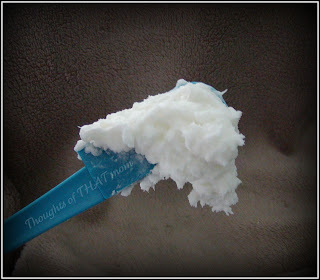 I'm all about simplicity, though, so I wanted to know if you could mix it with the coconut oil still in a solid state. I have done so successfully many times since then. I don't know if other oils would be as pliable as the coconut oil is, though. You might have to liquify cocoa butter. I use a spatula to mix mine simply because I'll end up using a spatula to get it all out of the bowl and into the deodorant container. Why use a spoon AND a spatula when I can just use the spatula? If you keep the coconut oil as a solid, you'll know it's fully mixed when it has the same consistency as icing. I don't know how well you can tell from the pic, but it's a pic of the coconut oil and corn starch fully mixed together and ready to go into the deodorant container. Obviously, if you've liquified the oil, you'll just pour it into the container. After I have all of the mixture in the container, I'll twist it up (if I've done a small batch) and try to even it out. (Although that's not necessary unless you're a perfectionist like me.) You can put it in the fridge to solidify or just let it sit and harden if your house is below 75 degrees. Have you ever made homemade deodorant? Do you make any homemade personal products? I'd love to hear from you! 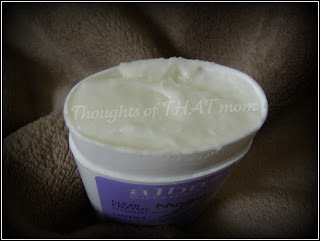 I wanted to add, I also make my moisturizer: 5 parts organic aloe juice and 1 part vegetable glycerin. This can be used on all parts of your body including your face. You only need a very small amount for your face or it will feel greasy after a little while.